Michigan was the 26th state to join the US. Alt+26 in Windows OS produces the right arrow “ →”. It takes 26 moves or less to solve a Rubik’s Cube. 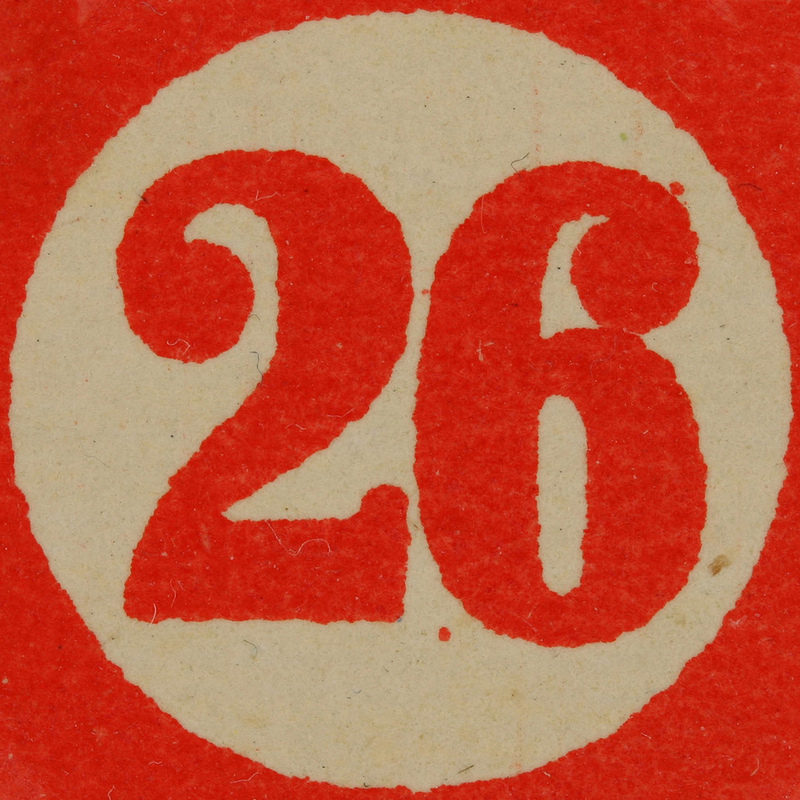 In a deck of cards, there are 26 red and 26 black cards. There are 26 bones in a human foot. John Wilkes Booth, Lincoln’s assassin, was killed at the age of 26. Jean Harlow, the original blonde bombshell died at age 26. Elvis Presley performed his last ever concert on the 26th of June 1977. Walt Disney has won 26 Oscars which is the most ever. The number 26 only appears once in the entire bible. In the bosonic string theory, there are 26 space-time dimensions.